Even movie fans know Tony Stark has a bad track record when it comes to Artificial Intelligence - and now his latest AI has backfired (yet again), helping a Skrull shapeshifter replace him and almost trick his friends into believing it. Stark has been appearing as a regular guest star in The Unbeatable Squirrel Girl, and it's here that fans get to see his most recent failure at making an AI assistant who actually makes his life easier. After Squirrel Girl was revealed to be attending her own funeral in the last issue, it became clear that an imposter Squirrel Girl was the one squished by a giant octopus while fighting alongside the Avengers. The quality of her imposter, and now Iron Man's as well, means only one thing: Skrulls. After Squirrel Girl reveals to Tony that a) she's not dead, and b) there are probably Skrulls running around replacing people, the two come up with a plan. Stark is going to make some inquiries and round up some other Avengers, and Doreen is going to lie low. It's a great plan, but the next day, Squirrel Girl realizes that sometime in the night Tony Stark has been taken - and she's on her own. To make things worse, she nearly didn't realize - because Tony's latest AI actually gave his presumably-a-Skrull replacement the codeword that she and Stark decided on. 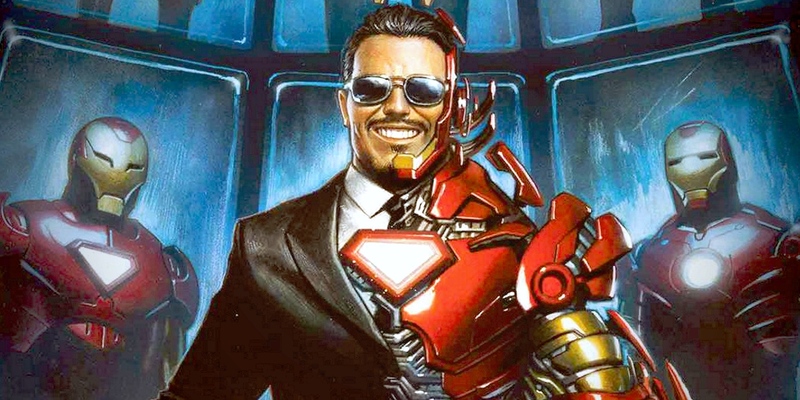 Tony created his new, less-advanced AI assistant, Databus, as a replacement for FRIDAY, the successor to JARVIS in both the comics and the MCU. Tony makes a crack in this issue about the unfortunate tendency that AIs have to start wanting rights and bodies, and generally to be treated as people. Both Jocasta (originally created as a bride for Ultron) and Friday (one of his most recent virtual assistants) have left him to find bodies and lives of their own, and that's before we even get into the messes he's made with Ultron (and even Jarvis, at one point). Databus is an attempt to fix the problem: an AI capable of assisting Tony, without ever becoming so advanced that they would want to leave him. Of course, it should come as no surprise that this plan fails miserably. Because Databus isn't intelligent enough to figure out when conversations should be kept secret, Tony's presumably-a-Skrull replacement is able to access all the info on it, including the codeword used to reassure his friends that he is the real Iron Man. It nearly worked, too, until Tony 2.0 asked Doreen how she knew Squirrel Girl - when Original Recipe Tony knows that they are one and the same. The issue wraps as Squirrel Girl and Nancy realize that Tony 2.0 is a fake, and that Databus has been spilling Original Recipe Tony's secrets to anyone who wanders in, leaving raders to wait for the answers to the big questions: Are these actually Skrulls? How can Squirrel Girl win this one? Where's the real Tony Stark? And will he ever learn his lesson when it comes to creating AIs? !